I joined the English Department in January 2014 as Lecturer in Creative Writing. Previously, I worked as an Associate Lecturer for the OU (from 2008 – 2010) and as a creative writing lecturer at the University of Portsmouth and Brunel University, where I studied for my PhD. My research interests focus on historical fiction and its relation to genre and literary fiction, and the status of the novel as creative research. 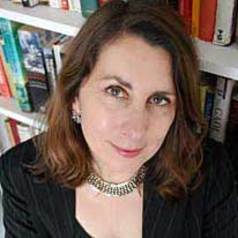 I have also worked as a journalist and editor for Christian Aid and Barnardo’s, and as a freelance for the Guardian, Sunday Times and New Scientist. My teaching has covered a wide range of genres, including the novel, the short story, creative non-fiction and screenwriting. I’m the author of two contemporary novels, The Best Possible Taste and You Spin Me Round, both published by Penguin books (2004 and 2007). My debut historical novel Dark Aemilia was published by Myriad Editions in the UK in March 2014, and by Picador US in May 2014.